Xenon Headlight for R50 R52 R53 MINI Cooper and Cooper S and Convertible. If having trouble with your Xenon headlights? Or want to upgrade from your halogens? 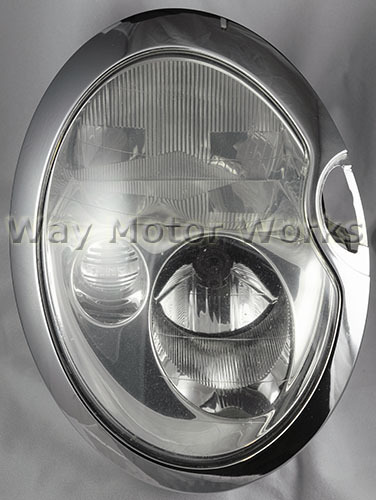 Here are Brand new OEM Complete Xenon headlight assemblies for you R50,R53,R52 MINI. This is a complete unit, only missing the headlight washer assembly that you will reuse your old one, or purchase seperately. Avoid the expensive dealer and order now. The picture may not match the exact headlamp for your model.